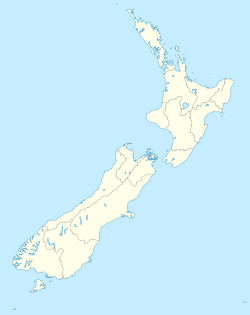 Prebbleton is a small town in the Selwyn District in the Canterbury Region of New Zealand. It is 11 km southwest of the centre of Christchurch and about 2 km south of the outlying industrial suburb of Hornby. Prebbleton dates back to 1855, making it one of the earliest settlements on the Canterbury Plains. The Prebble brothers, originally from Kent, England, settled in the district. The population of Prebbleton as at 2006 was 3,024  The village has experienced considerable growth with several subdivisions built in the last two decades. ^ "Prebbleton". NZETC. Retrieved 4 September 2015. ^ "QuickStats About Prebbleton". Stats.govt.nz. Retrieved 4 September 2015. This page was last edited on 21 November 2018, at 10:45 (UTC).